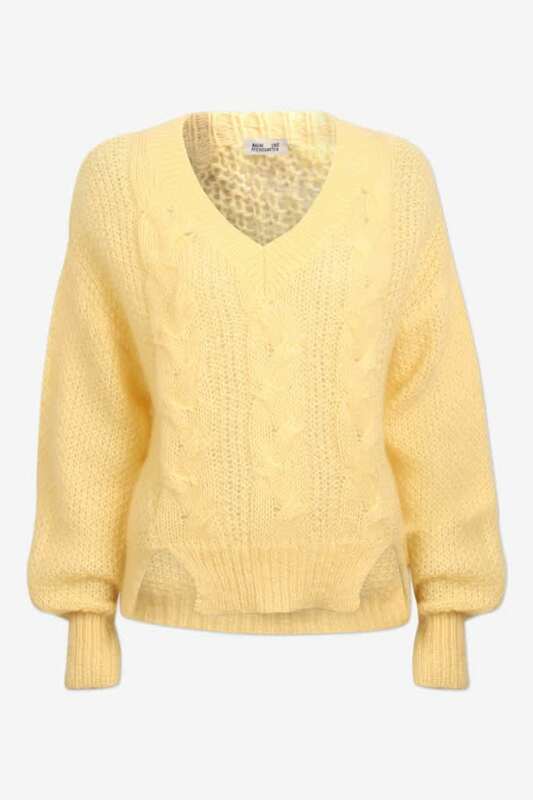 Coralie Cable Sweater Raffia Yellow. A chunky cable knit with v-neck and slits in front sides. Cropped in style looks great with high waisted trousers, jeans or a skirt in the colour of the season for SS19 yellow!